Sound artist Geraint Ffrancon has collaborated with photographer and filmmaker Nicky Brown to create a short film with music - a portrait of the weather as it rolls up the Bristol Channel from the Spring of 2011 through to the Winter 2012. 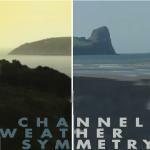 Channel Weather Symmetry from Local Journeys on Vimeo. 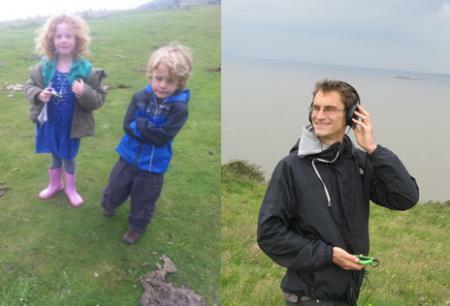 Walking with Music Music has been created by Geraint for people to take with them to the two National Trust sites – Brean Down, on the north Somerset coast, and Rhossili, on the Gower Peninsular in South Wales – that they will be able to listen to as they explore these beautiful places. For those with smartphones, a GPS version has been created, where the listener can wander the headlands between different music zones. These are free Apps. The Android and iPhone versions, available from their respective stores, just type 'Channel Weather Symmetry' into the finder. (Please note Android have produced slightly different versions of their app for different phones, if you are unlucky the Channel Weather Symmetry app may not play as smoothly as it should on your Android phone. We hope this wilol be rectified in the future). Best to bring your smartphone preloaded (see links above) there is wi-fi at Brean Cove Cafe but it's a bit sporadic. For those without smartphones or mp3 players, there are a few pre-loaded mp3 players to borrow at Brean Cove Cafe for a deposit. For those with mp3 players a linear version is available for Rhossili here. For those without smartphones or mp3 players, there are a few pre-loaded mp3 players to borrow at National Trust Visitor Centre for a deposit. If you'd like to read Geraint's entertaining and informative blog that he compiled while working on the project please go to http://channelweathersymmetry.tumblr.com/ "Interesting commentary on exploration and creative process with some splendid photos."